Judiece Oliphant is one of two Youth Consultants with the Independent Living Program at Children’s Aid Society. She has been working with the Independent Living Program since March 2013. Judiece is originally from Huntsville, Alabama and a sister of 3 siblings. Judiece lost her mother as a young teen and entered foster care at the age of 14. While in foster care Judiece developed permanent connections with individuals whom she feels are like family. Upon aging out of foster care, Judiece moved to Birmingham to start a new chapter in life. Judiece is an alumnus of the D.R.E.A.M. Council where she served as the council’s secretary. Her caring spirit, ear for listening and experiences as a foster youth allows her to impact foster youth in care and who have aged out of care. 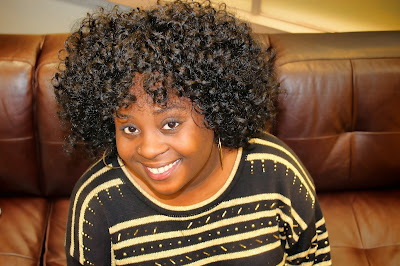 Outside of work, Judiece loves music, art, meeting new people, and great food! Judiece is a student at Jefferson State Community College and plans to transfer to the University of Alabama in Birmingham in the spring of 2014 to receive her Bachelors in Fine Arts. To contact Ms. Judiece Oliphant email her at joliphant@childrensaid.org or call 205-943-5354.